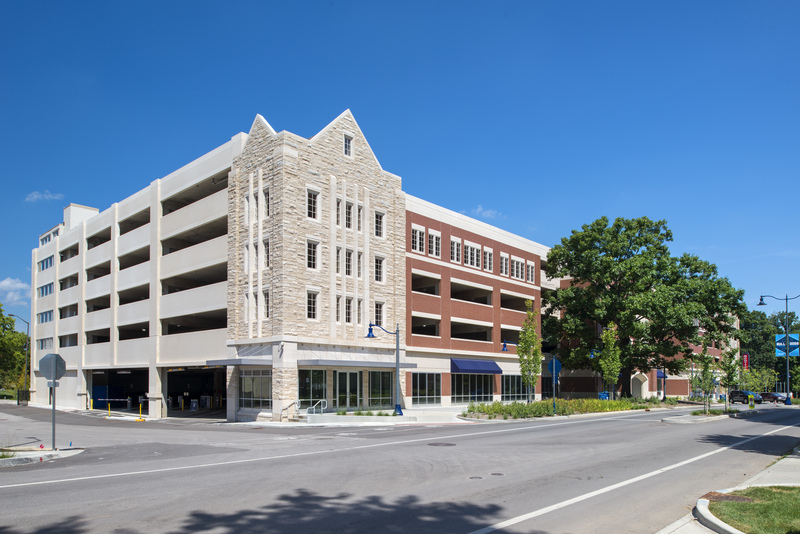 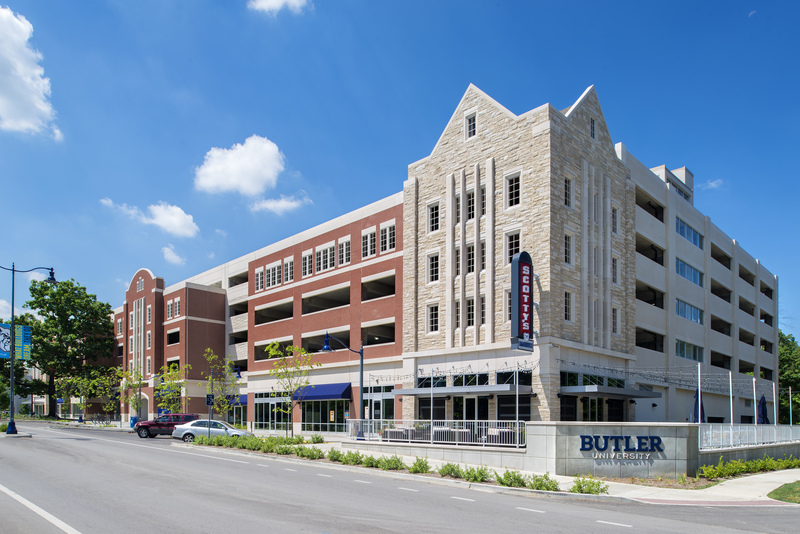 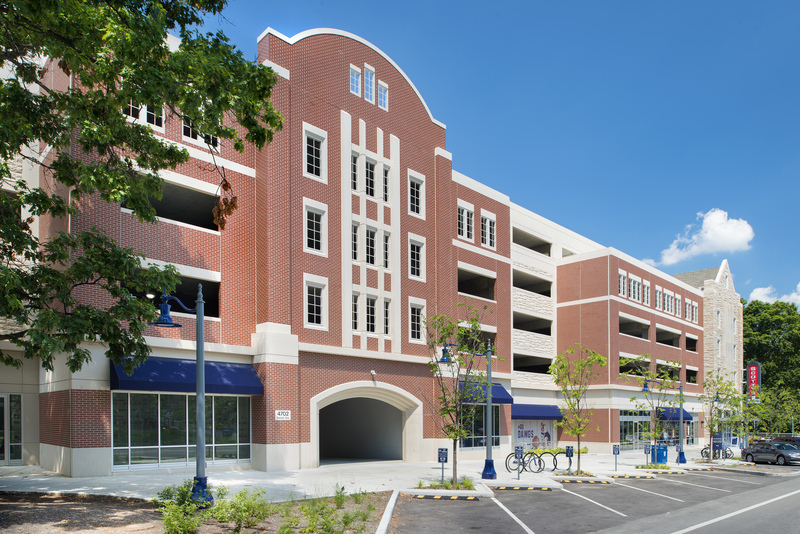 Keystone was selected by Butler University to Design Build this new 6-story multi-purpose parking facility located between Clowes Memorial Hall and Hinkle Fieldhouse along Sunset Avenue. 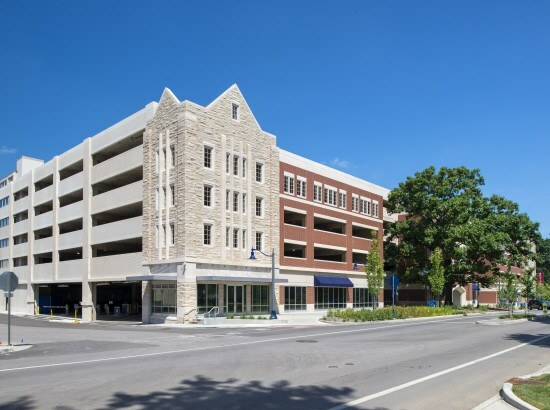 Keystone Construction served as the design-build contractor and provided construction management services including pre-construction, project management, and an on-site superintendent. 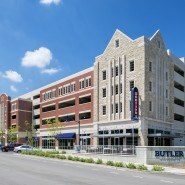 The $22 million garage serves Butler faculty, staff, and commuter students. 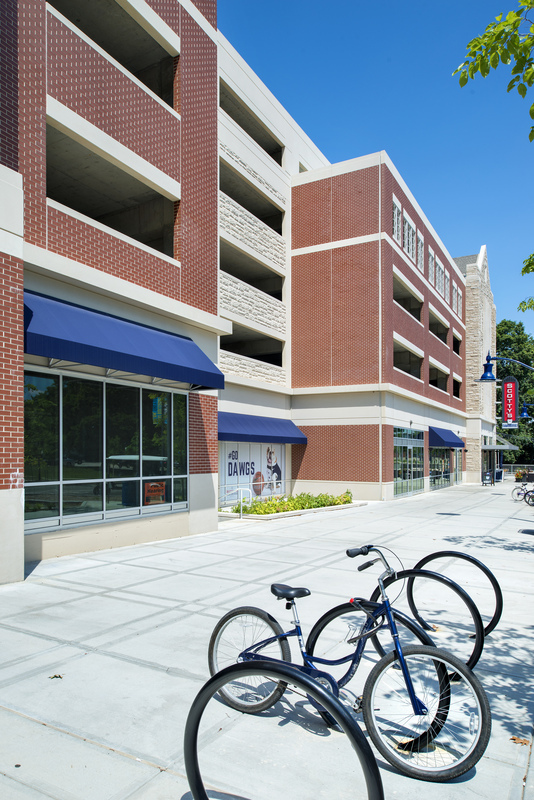 It includes 1,035 parking spaces and 16,994 square feet of ground level retail and commercial space. 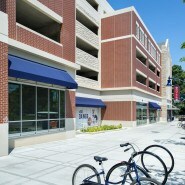 The structure also serves the campus and surrounding neighborhoods. 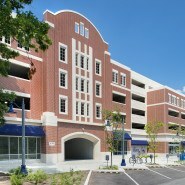 In addition, the parking garage provides event parking for Hinkle Fieldhouse, Clowes Memorial Hall, and the Schrott Center.